The vertical transportation industry has changed massively since the 1850s, as you would expect. Here at Dunbar and Boardman we are sure that both Elisha Otis and Nathan Ames would be genuinely amazed at the type of elevators and escalators that exist today. To read more about Elisha Otis click here. The name of Nathan Ames is not as well known as Elisha Otis. It was Ames who invented something he called Revolving Stairs and who has become enshrined in history with his US patent number 25,076 – generally acknowledged as the world's first escalator. Following our last post devoted to amazing elevators this time we have chosen to focus on five of the world’s most impressive escalators. 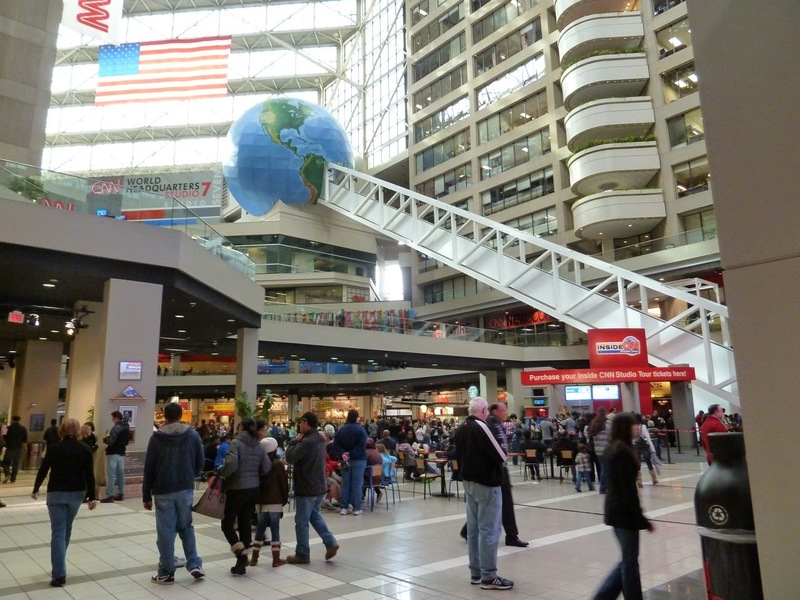 CNN Center's atrium in Atlanta Georgia (USA) has the longest freestanding escalator in the world. It travels the distance of 62 meters equivalent to 8 stories. This escalator is supported only at both ends. Originally built for a theme park, it now transports visitors for CNN studio tours. The longest covered outdoor escalator system in the world is in Hong Kong where the 800 metres long escalator rises 135 metres. It takes 20 minutes to ride the entire length of this escalator, but travellers can stop off at places like the traditional Hong Kong Central Market. Another stop offers a visit to antique shops. This system is comprised of 20 escalators and 3 moving walkways with footbridges 14 entrances and exits. This escalator is known as the Central-Mid-Level escalator system and it is located in one of Hong Kong's trendiest residential areas. A huge outdoor escalator has been built in one of the poorest areas of Columbia's second largest city. The escalator replaces hundreds of steps equivalent to climbing a 28 story building. 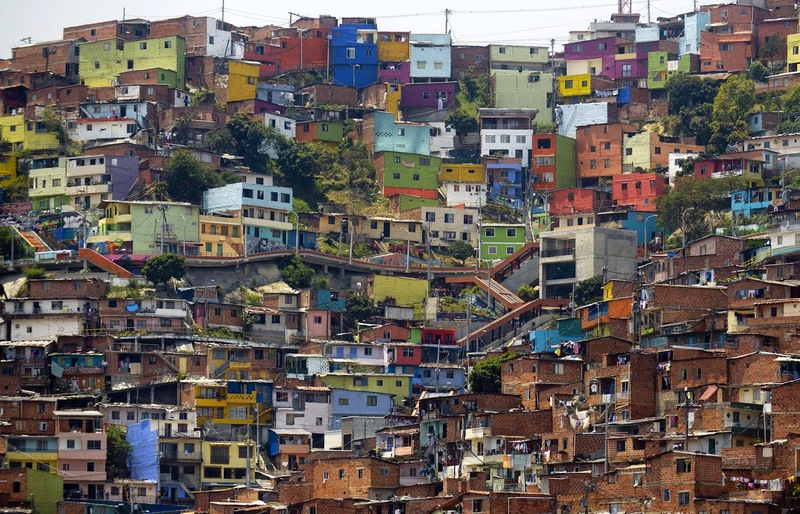 This escalator is over 1,200 feet long with several stops where people living on the hillside have access to it. 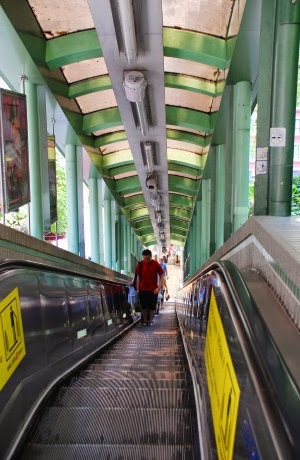 This giant escalator reduced the journey from 35 minutes to 6 minutes and saved a lot of energy and stress. This is a marvellous enhancement for the lives of the poor people that use this system. The Haulien Farglory ocean park in Taiwan has an amazing escalator. 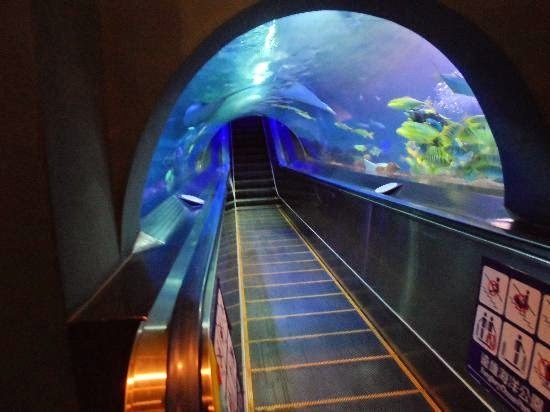 This escalator travels through the main aquarium on an undulating escalator that is airtight while sharks and other creatures of the sea swim nearby. This escalator is staggered so that passengers can go to the bottom of the aquarium on stairs and climb back up to the escalator. 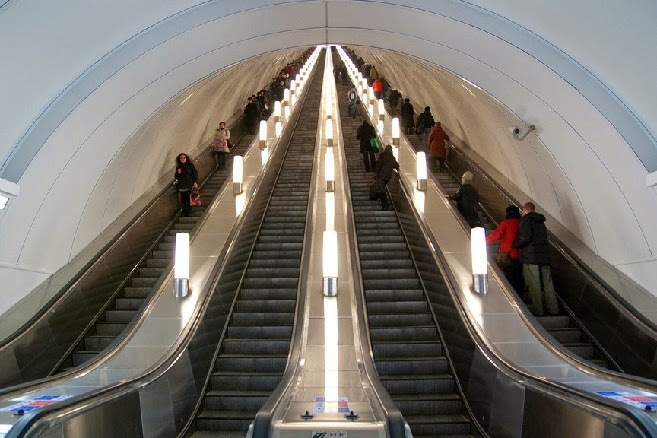 The longest individual escalators in the world are in the underground stations of the Saint Petersburg Metro. Three stations: Ploshchad Lenina, Chernyshevskaya, and Admiralteyskaya have escalators up to 137 metres long and 68.5 metres high. If you have enjoyed this post you might also like Curved escalators: Who made the first one? Are you planning a vertical transportation project including escalators? Dunbar and Boardman is the lift, escalator and access equipment consultancy. We would be happy to discuss any such requirements and how we may be able to assist. Give us a call on T +44 (0) 20 7739 5093 or send us an email via peterboardman@dunbarboardman.com to start the conversation. We look forward to hearing from you. Blog was very useful thank you for information..